The primary goal of the Florida Youth Lacrosse Foundation, Inc. is to provide support for Youth Lacrosse throughout the State of Florida. Our Foundation wants to encourage the explosive growth of the sport by providing guidance and resources to new or struggling programs. 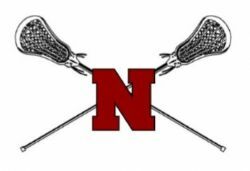 NICEVILLE EAGLES LACROSSE CLUB REGISTRATION (You will be redirected to ECLightning.com. All area lacrosse teams are registering through the Emerald Coast Lightning Lacrosse organization).